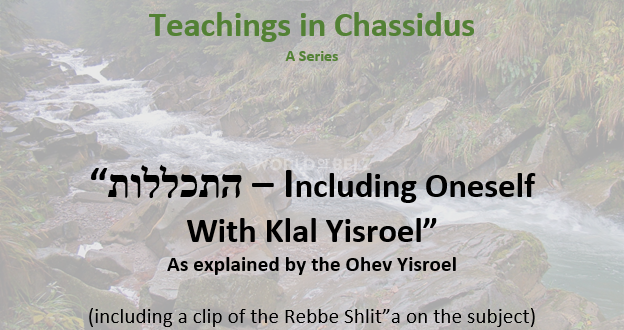 One of the important Avodas in Chassidus is that of “התכללות – Hiskalelus”. Hiskalelus means including oneself with all of Klal Yisroel. 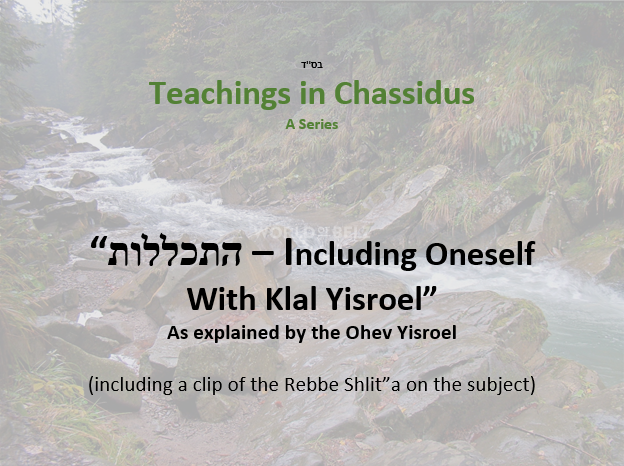 Klal Yisroel is like one Neshama with many parts, just like every person has one Neshama and many parts in the body. Some Yidden are like the ‘head’ of Klal Yisroel and some are like the ‘heel’, but we are all one greater Neshama. Whatever one Yid does effects everyone, for the positive and negative. 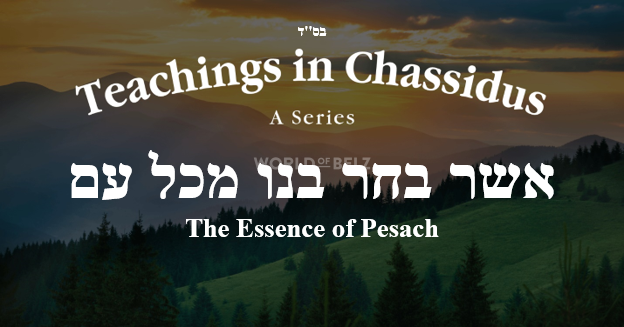 Chassidus teaches to include oneself with all Yidden before doing a Mitzvah and before Davening and say “בשם כל ישראל” – in the name of all of Klal Yisroel. Instead of feeling like an individual doing a Mitzvah privately, one’s conscience should be with all Yidden doing the Mitzvah together. On a deep level that is what happens constantly; the Avoda is to keep that in mind and feel it in the heart. Hiskalelus is not only in regard to Klal Yisroel of the current generation, we are also one Neshama with all the past and future generations. We can always connect with all the Tzadikim and the Avos Hakedoshim, since we are one Neshama. Sometimes and individual’s Mitzvah is not complete with the appropriate intentions and thoughts. When one includes themselves with all of Klal Yisroel, they are included with the intentions and Avoda of the Tzadikim of all generations. The Ohev Yisroel explains that when Avraham Avinu did Mitzvos he included himself with all the Neshamos of Klal Yisroel. Hence, every Mitzva that we do, we have done already in some form through Avraham Avinu doing it. When we do it now, Avraham Avinu and all the Avos and Tzadikim of the previous generations are included in our every Avoda. 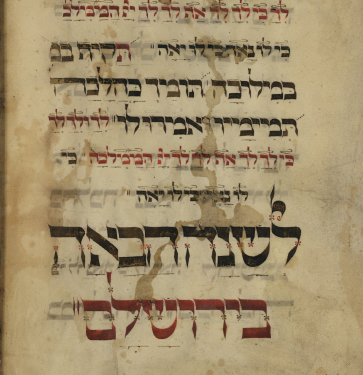 With this principle the Ohev Yisroel explains the passage, “חייב אדם לומר מתי יגיעו מעשי למעשי אבותי” – One is obligated to say, “when will my deeds reach the deeds of the Avos”. 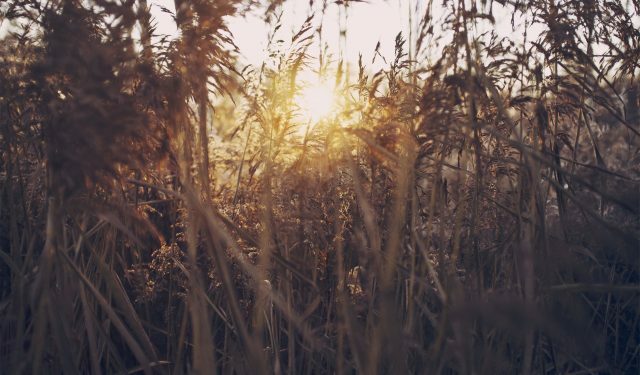 Our deeds can reach the deeds of the Avos through Hiskalelos – including ourselves in the greater Neshama of Klal Yisroel. Video: The Rebbe explaining the Yesod of בשם כל ישראל to R’ Chaim Minz founder of Oorah.